We did the NES, we did the Genesis, but we're not though yet! 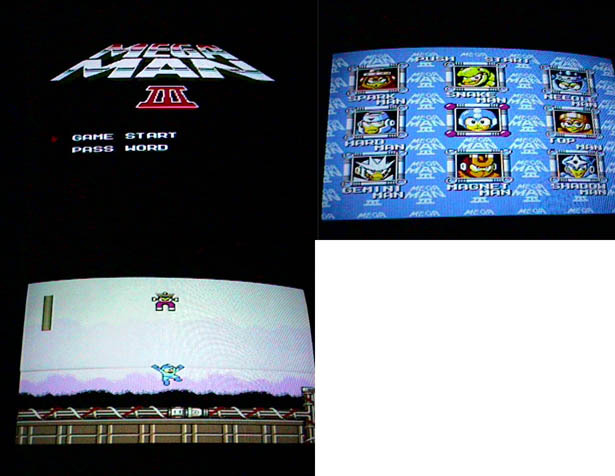 No, not only has the game MM3 been on Tiger Electronics, the NES, the Genesis, but it has also been in the arcades! 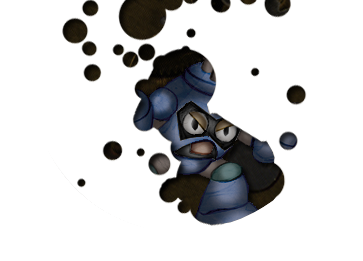 That's right, the game you thought you knew all about has at least one more surprise for you. It has been on the Play Choice 10. What was the Play Choice 10 you ask? Well, you probably figured it out by now, but it's an arcade machine that allowed you to play the NES home games in the arcades. Why anyone would want to do this, I have no clue. But you can. 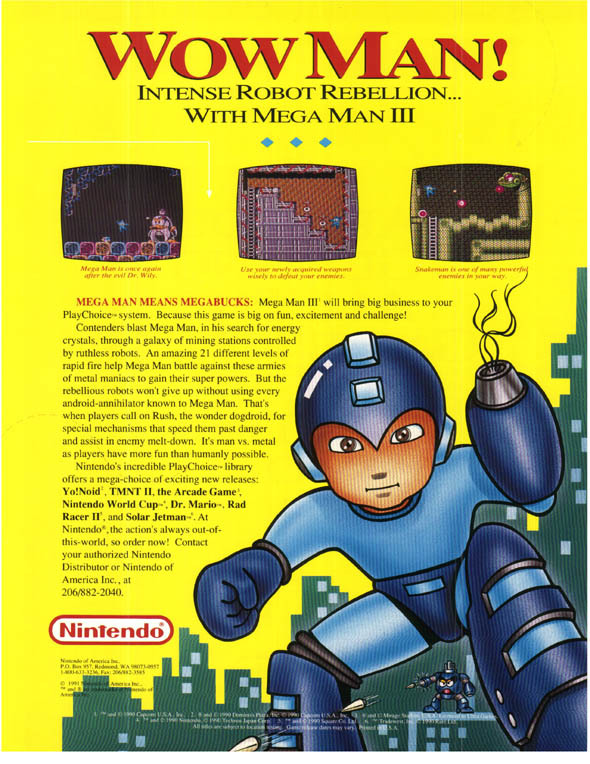 Megaman 3 was the only MM game ported as far as I know. As you can plainly tell, almost nothing was changed. The palette was different, but as far as I can tell, it's the same game, only this time you must pay for the amount of time you spend playing. Haven't these guys ever heard of video game rentals?? Apparently not. Was the Playchoice 10 a success then? Well, you don't see many home consoles in the arcade anymore, so does that answer your question? 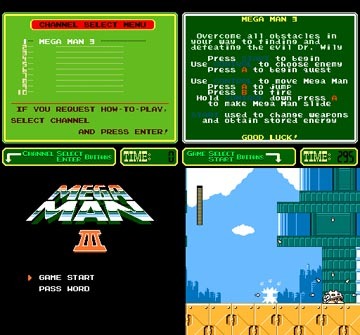 Well, if you have a burning need to play this game, yer in luck, it has been dumped and is playable on MAME. I'd post actual screenshots, but MAME does not want to cooperate with me on that on. Who cares anyways, the sprites are the same as in the NES version. Pics from Kane's Play Choice 10 tribute page run by a man who likes the system more than I ever could. An actual screenshot! All the fun from home, but this time you can actually PAY TO PLAY!! Marvel at those advanced 8 bit graphics!